Amazon has Lasko Ceramic Portable Space Heater for $14.88 (Reg $20.10). You can get free shipping on orders over $25. 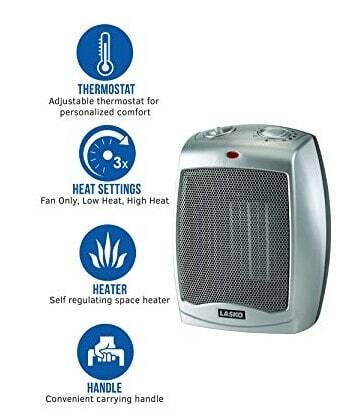 This compact space heater from Lasko brings 1500 watts of comforting warmth to your room. A classic design in silver with easy to use manual controls and built-in safety features, plus adjustable thermostat for personalized comfort.